Learn U.S. geography with GeoSeeker! 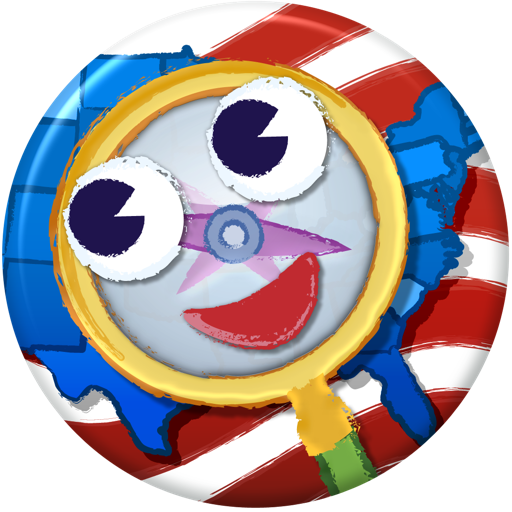 GeoSeeker is a fun way to explore the USA with colorful puzzle games. 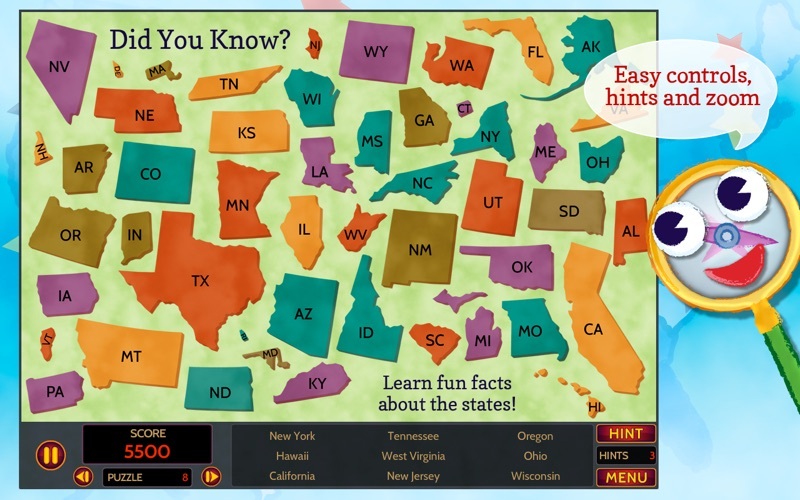 Learn shapes, names, capitals, flags, landmarks and fascinating facts for all 50 states! 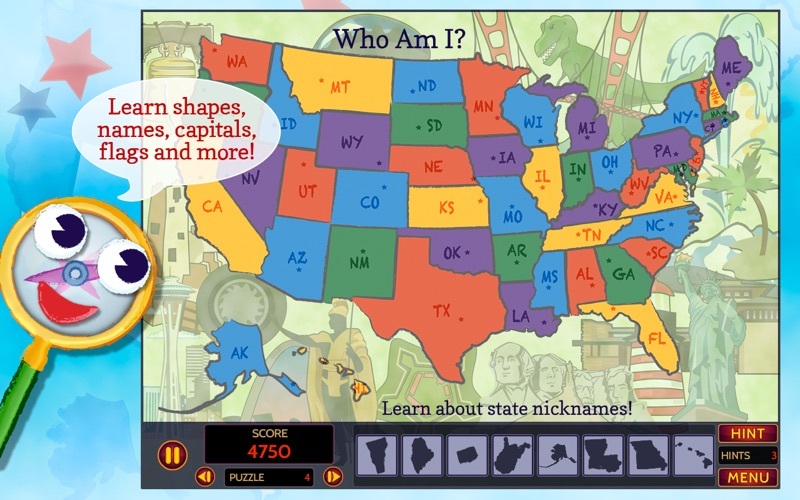 Find the states by name, shape, capital, nickname and more. Then brush up on your map skills and practice reading legends and grids. Explore each of the four sections, starting with the Map Room, which features fun maps of the states. 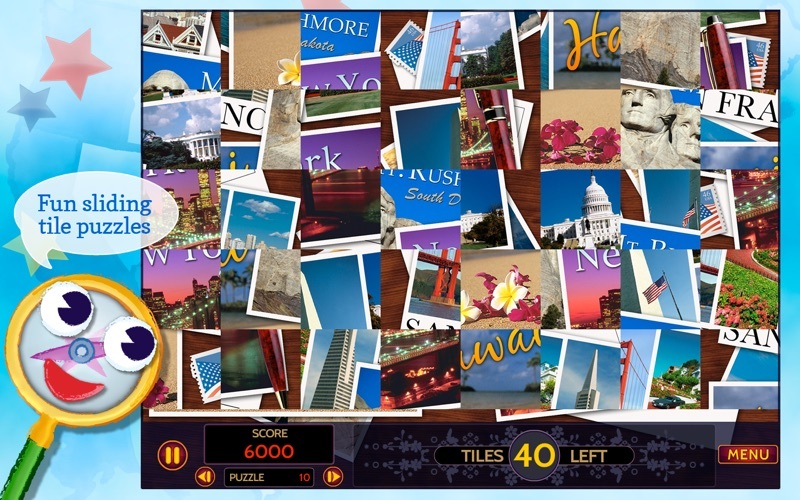 Then, discover famous landmarks across the U.S.A. with the Tour Guide. Next, learn Fun Facts about U.S. history, culture and state symbols. 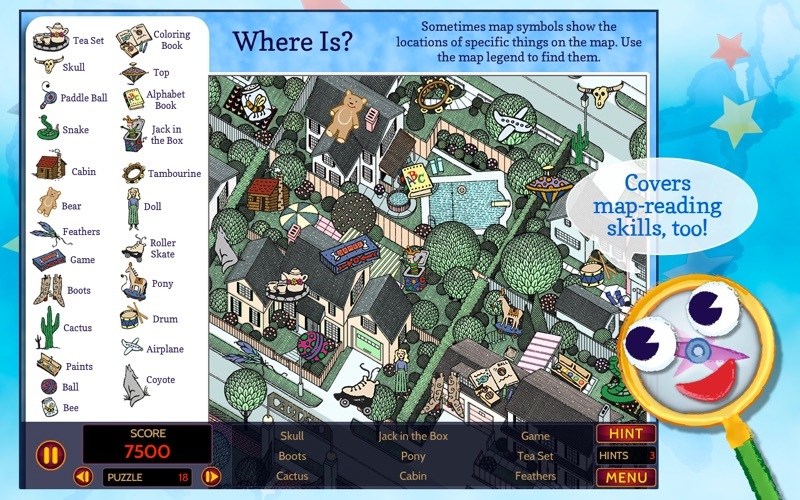 Finally practice your map-reading skills and become a Geography Whiz!